Think about it. There's a reason the point-of-sale is such an important part of foodservice. In grocery stores, the checkout line is a cash cow. In bakeries, the elegance of a display case will directly impact product visibility and impulse purchasing. In hotels and hospitals, quick serve kiosks and grab-n-go cases have a direct impact on revenue. The bottom line is this should be no different for bars and restaurants. Like other foodservice segments, it's possible to create the point-of-sale tableside, as long as you have the solutions to do it. Most of us are familiar with the end-of-meal dessert cart or the rolling cheese plate, but why does tableside service always seem to be built around cake, Camembert, or yes, even guacamole? The reality is an elegant appetizer cart can be a profitable way to entice customers into some of your most visually-appealing items. Even better, it's at the beginning of the meal when guests are most hungry. The drink cart we most often remember is the one that goes down the aisle of an airplane, but why is that the only place we're used to seeing them? 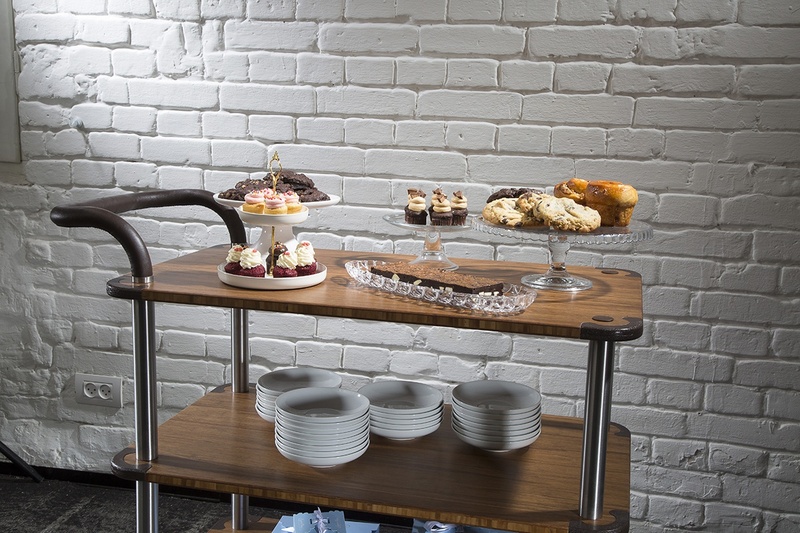 A drink cart that roams a dining room or an outside veranda is a great way to entice guests into ordering. Instead of going to the bar or waiting for someone to take a drink order, bringing just a single, specialty cocktail can enhance service and increase profits. Don't have a lot of bar space? Expand it with a rolling cart and bring the bar to them. Events like weddings and banquets can all blend together. In some cases, the space allocated for a cocktail hour, for example, might be too small or too crowded to provide a memorable experience for every guest. Hotels and banquet facilities can offer rolling beverage and food carts to add a remarkable touch of elegance and hospitality -- and more important, convenience -- that will leave an impression with guests. These options come at a premium, of course. How can you bring service directly to the guest? The right delivery solutions will certainly help. Operations need units and carts that are easy to assemble, provide a level of elegance and grace, and are easy to maneuver through busy crowds and dining rooms. Service carts from Mogogo are just the solution. Made from high-quality wood and stainless steel materials, these solutions are designed to blend versatility, functionality, and stunning aesthetics. Learn more in the new Guide to Buffet Service Stations from Mogogo.